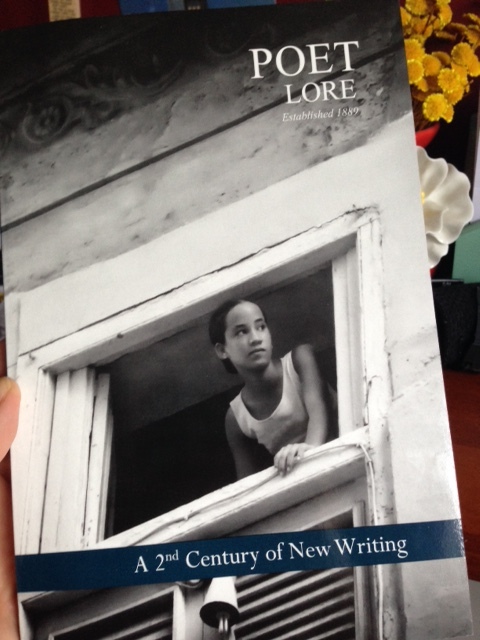 My poem, “To the Question, ‘What Happened’?” found a home in Poet Lore’s new issue! There are new poems by Lisa C. Krueger, Jim Daniels, Arthur Sze, Lynne Sharon Schwartz, Hailey Leithauser. There’s also “A Portfolio from Letras Latinas,” poems in dialogue with the exhibit Our America: The Latino Presence in American Art, currently touring the US, and a “World Poets in Translation” feature showcasing the work of Iranian writer and activist Rira Abbasi. Aaaand, reviews of Rachel Mennies’s The Glad Hand of God Points Backwards, and Yona Harvey’s Hemming the Water. In short, I think you might need to get your hands on a copy.